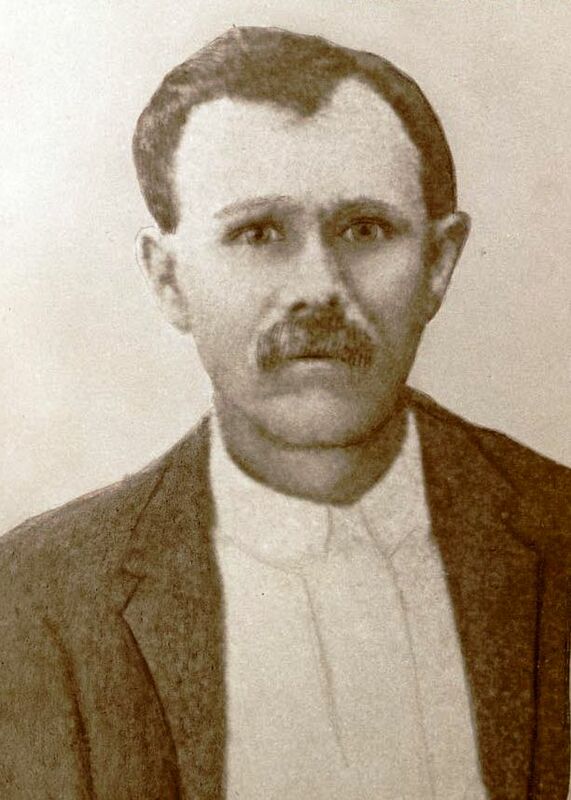 Samuel Augustus Calhoun was born May 25, 1868 in Georgia, probably in the community of Colquitt. 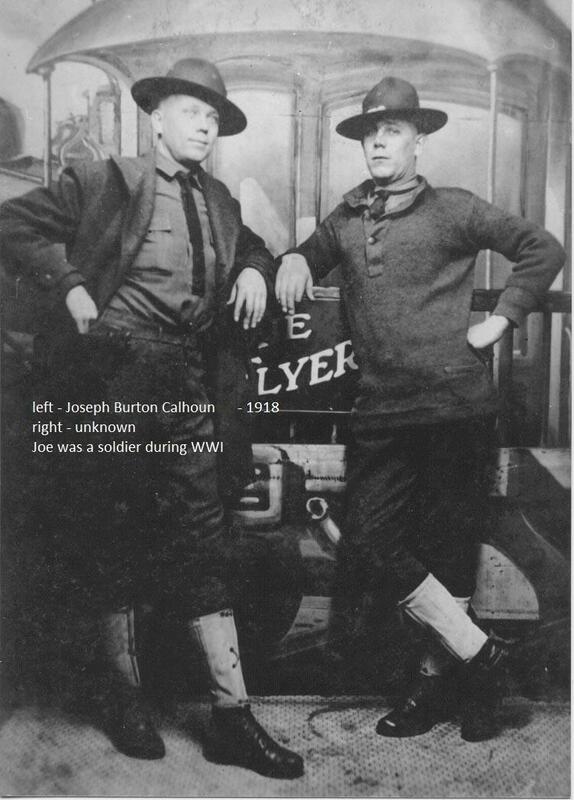 He was the son of Elizabeth and Joseph Calhoun. 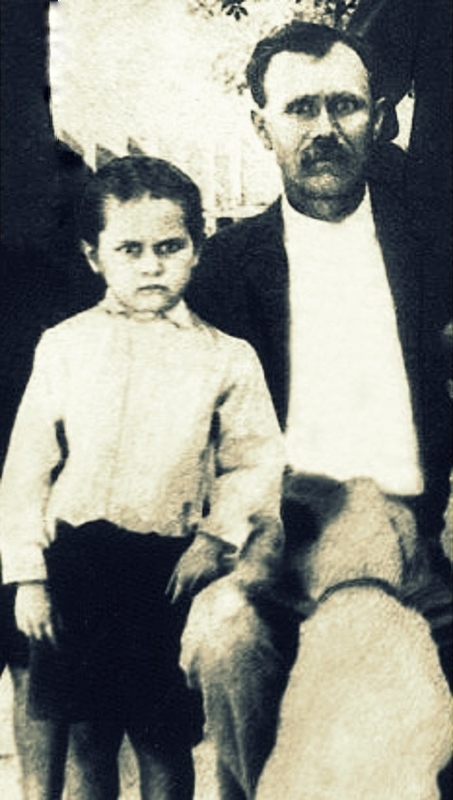 His father was a farmer, and Gus followed in the same tradition. 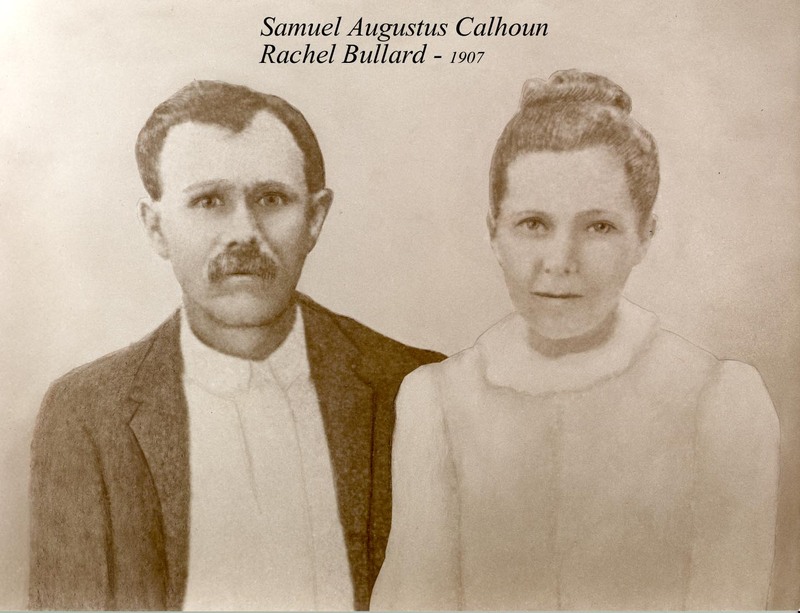 Samuel Augustus Calhoun married Rachel Bullard on May 19, 1891 in Lowndes County, GA. She was born in 1874. 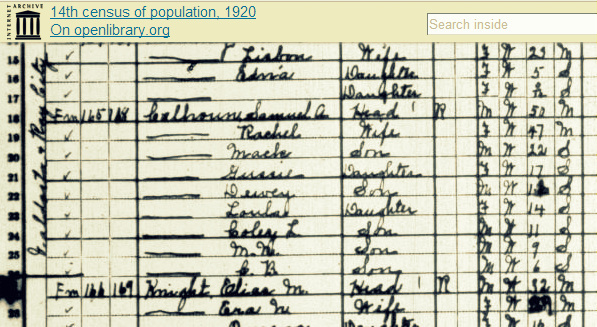 Her parents were Mack Bullard and Luvellia Ray. The ceremony was conducted by John G. Hall, Justice of the Peace. 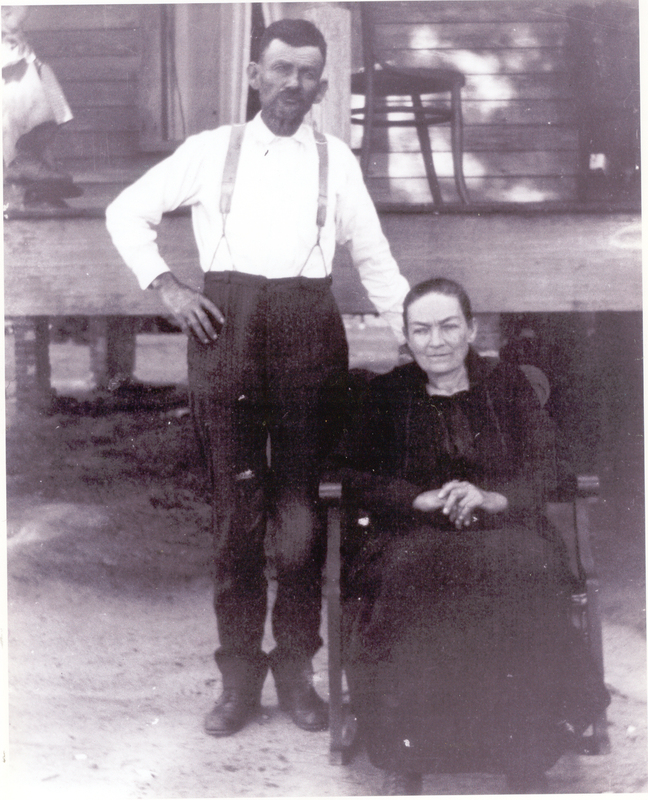 The couple made their home in the Cat Creek community, Lowndes County. 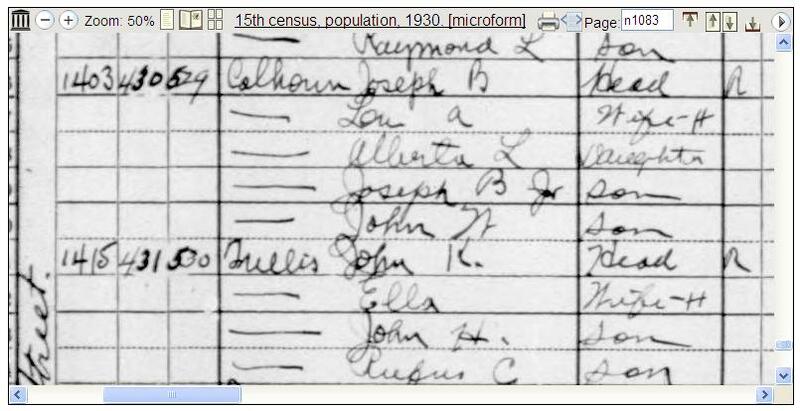 They appear there in the Census of 1900. 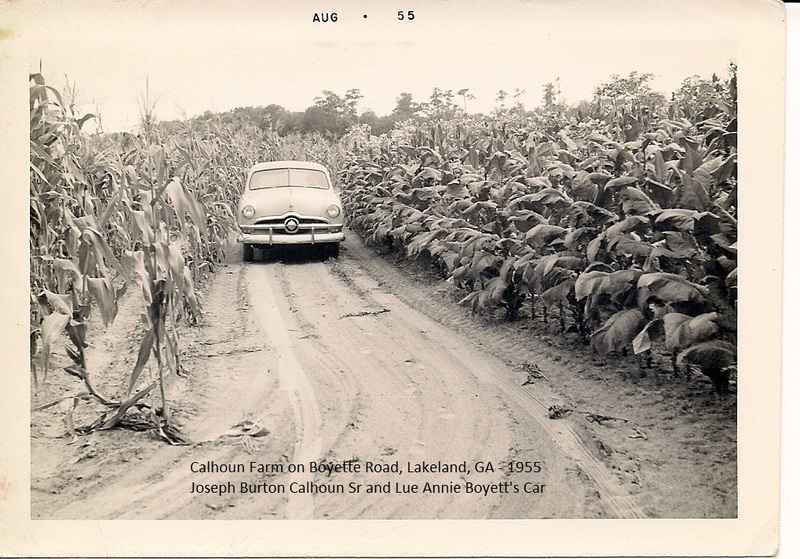 By 1910 Gus Calhoun had moved his wife and nine children a few miles north to Ray’s Mill (now known as Ray City), Berrien County, GA where he rented a farm next to his father-in-law, Mack Bullard. 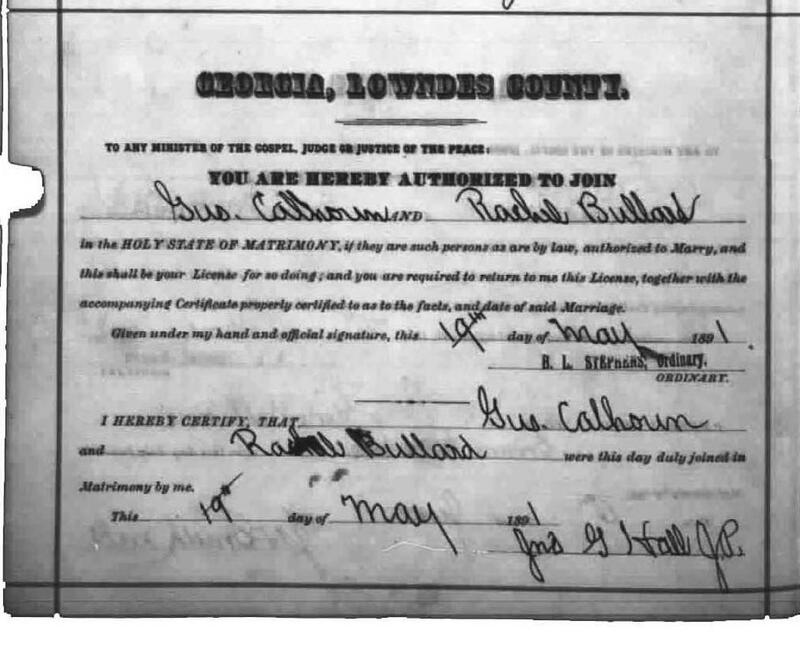 Samuel Augustus Calhoun and Rachel Bullard marriage certificate, 1891, Lowndes County, GA. 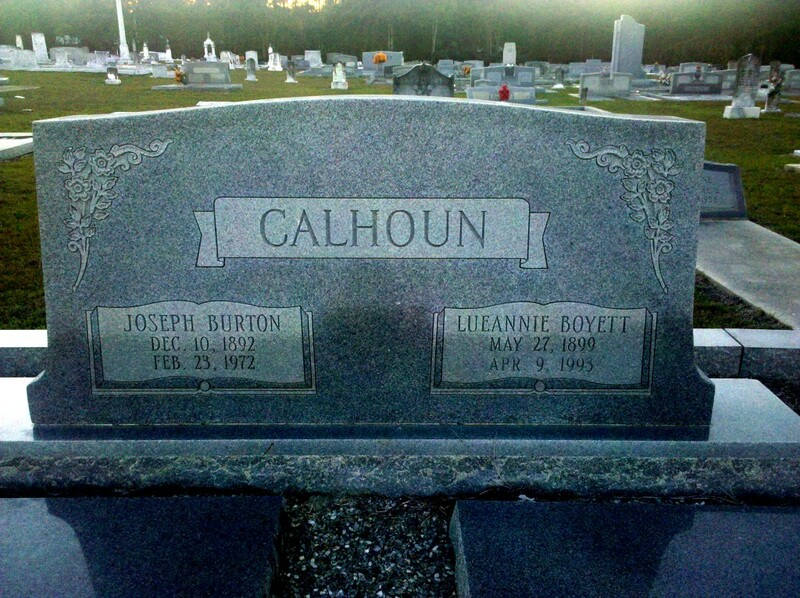 In the 1920s the Calhouns were living in Ray City, GA renting a place on the Valdosta & Ray City Road. 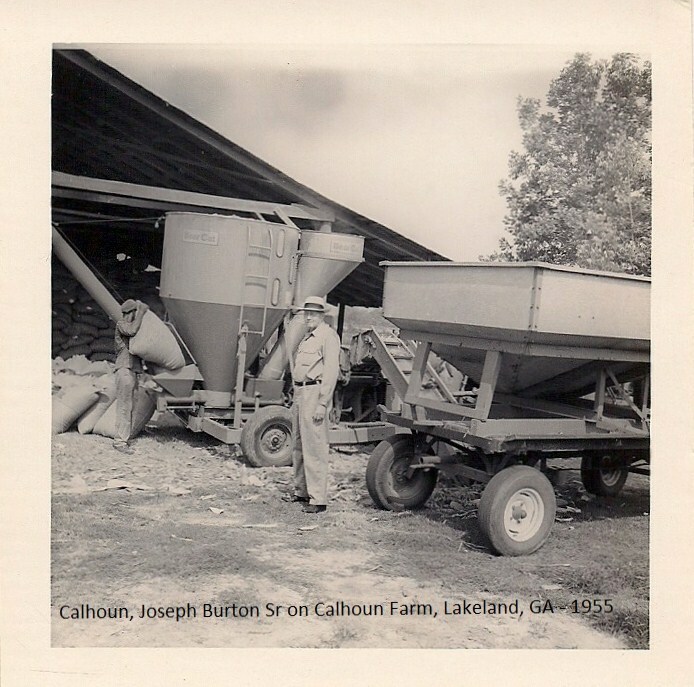 With the help of his sons, Gus farmed the place on his own account. 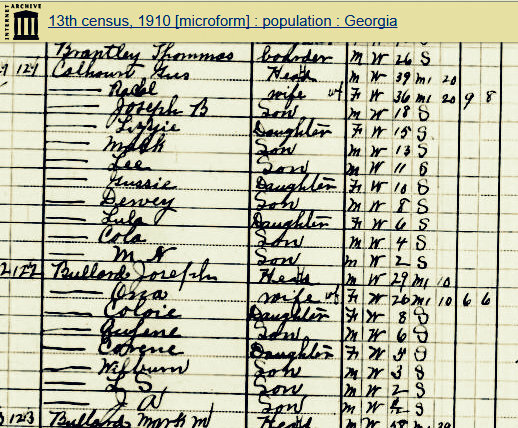 Thomas Brantley was farming the place next door. 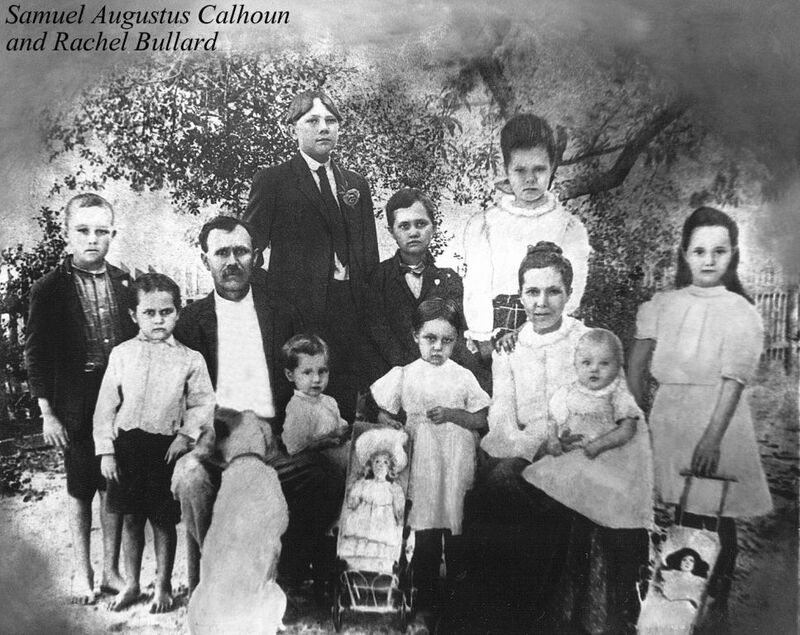 Rachel Bullard and Samuel Augustus Calhoun family, circa 1913. 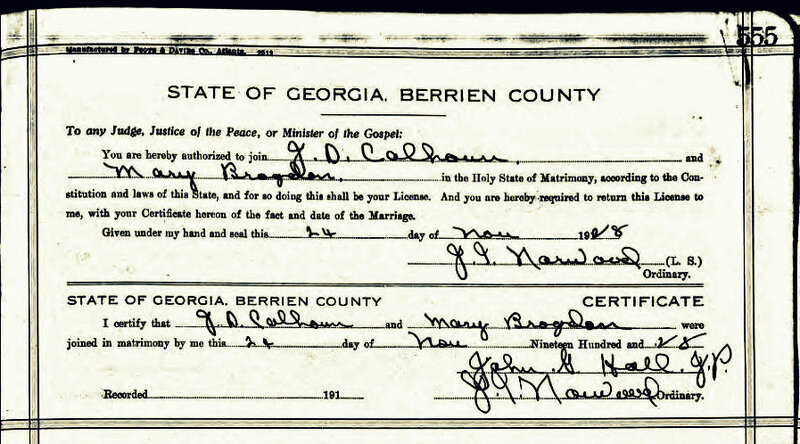 The Calhouns were living in Ray City, Berrien County, GA during this time. 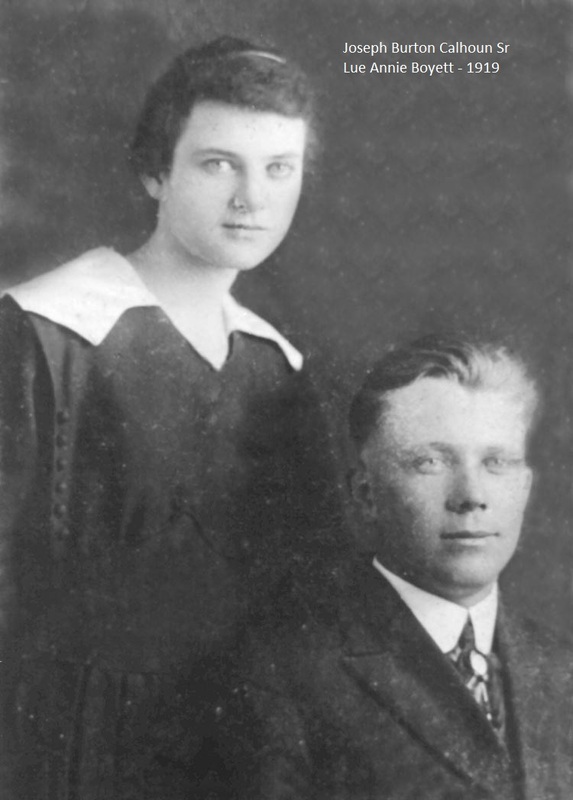 The 1930s found Gus and Rachel still on the farm in Ray City, renting for $15 a month. 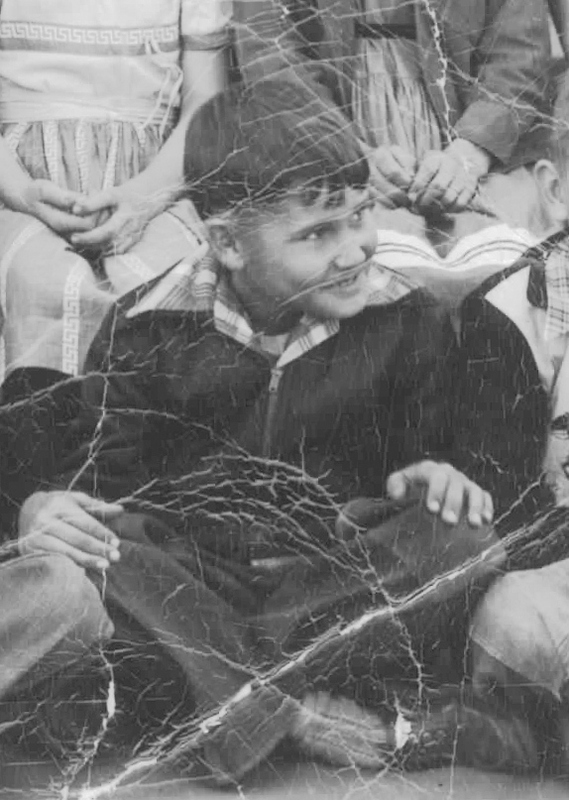 At 60, Gus continued to farm, with the help of his sons, Collie and C.B. 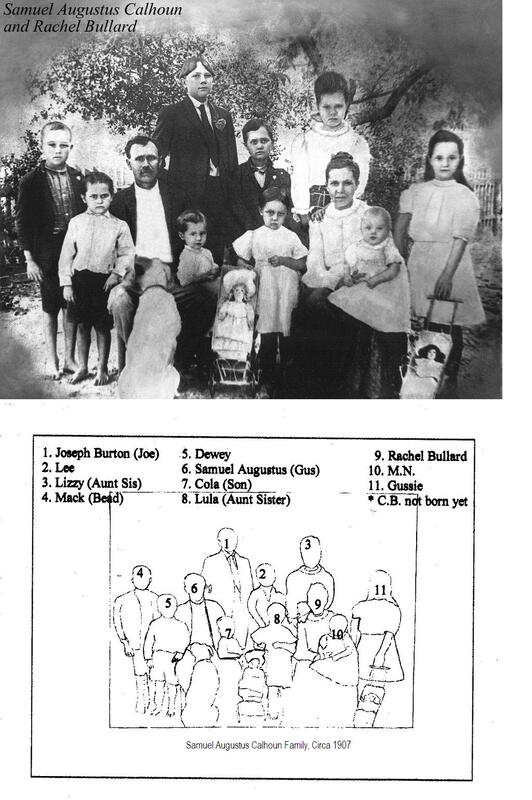 Also in the Calhoun household was their daughter, Gussie Clark, and her two children, Mildred and Charles. 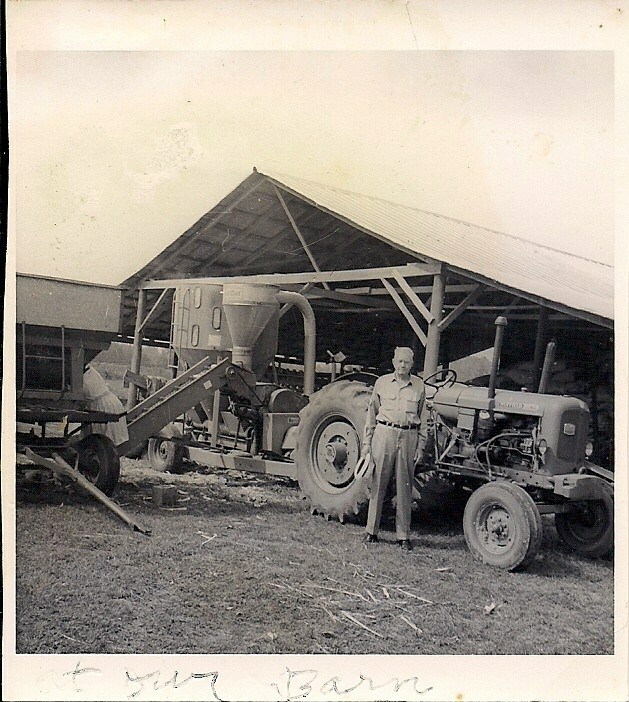 Gussie assisted with the farm labor. 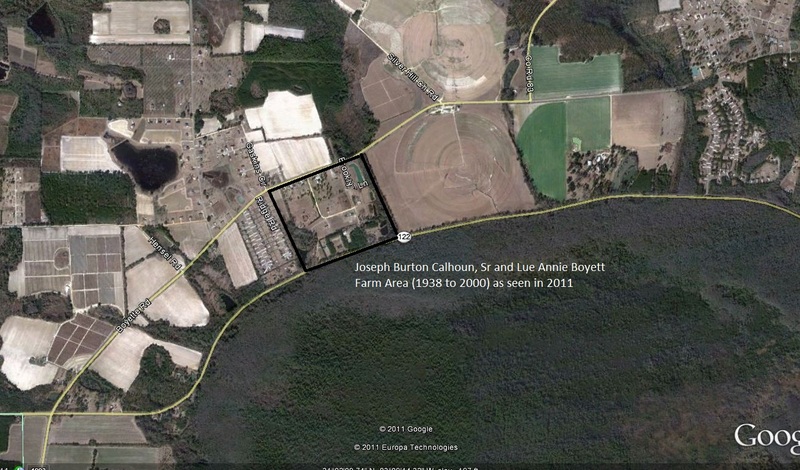 Their son, Max Nathan Calhoun, was renting the house next door with his wife and young child. 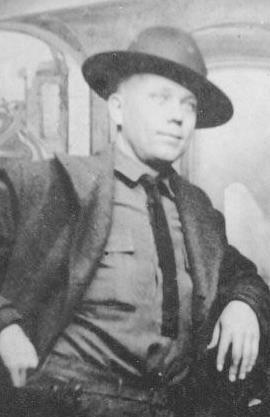 Samuel Augustus Calhoun died on January 5, 1957 and is buried in Beaver Dam Cemetery in Ray City, Georgia in Berrien County. 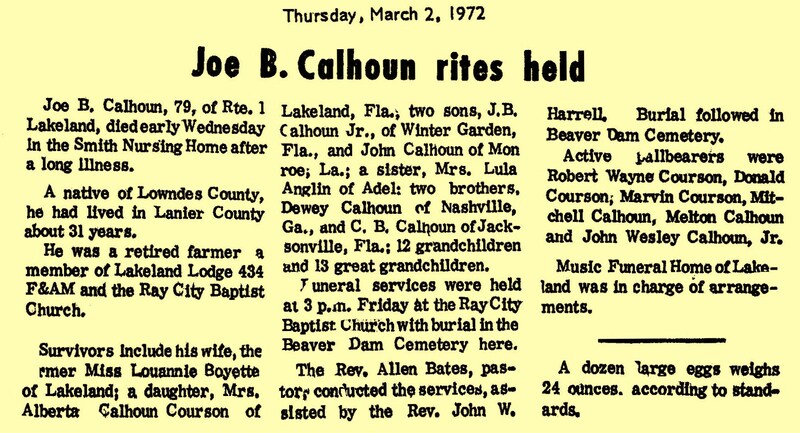 Rachel Bullard Calhoun is also buried in Beaver Dam cemetery.